Nebuchadnezzar ii is one of the most infamous kings of the Bible. He is particularly known for the destruction of Jerusalem in the sixth century b.c.e., and for his relationship with the Prophet Daniel. Proof of his exploits, as described in the Bible, has been evidenced heavily in archaeology: his role as king of Babylon, his defeat of the Egyptian army, his repeat sieges of Jerusalem, his installation of a puppet king (Zedekiah), and his final destruction of Jerusalem c. 586 b.c.e. There is even a possible reference to the Prophet Daniel’s three friends on one of Nebuchadnezzar’s clay tablets (see here for more information). One thing Nebuchadnezzar isn’t generally known for, though, is a link with the tower of Babel—the attempt by Nimrod to build a tower up to heaven, dashed by God’s confounding of the languages (Genesis 11). A small handful of artifacts, however, help show an interesting link between Nebuchadnezzar and the biblical colossus. I am Nebuchadnezzar, King of Babylon … my great lord has established me in strength, and has urged me to repair his buildings … the Tower of Babylon, I have made and finished … the Tower of Borsippa had been built by a former king. He had completed 42 [cubits? ], but he did not finish its head; from the lapse of time it had become ruined … the rain and wet had penetrated into the brickwork; the casing of burnt brick had bulged out … Merodach, my great lord, inclined my heart to repair the building. I did not change its site, nor did I destroy its foundation platform; but, in a fortunate month, and upon an auspicious day, I undertook the rebuilding … I set my hand to build it up, and to finish its summit. As it had been in ancient times, so I built up its structure …. As translated above, Nebuchadnezzar literally calls this monument the Tower of Babylon. (“Babylon” is interchangeable with Babel.) He describes this tower as an important ancient Babylonian edifice built by a “former king” that, for some reason or other, the workers stopped short in finishing—they “did not finish its head.” Why not? Some clue could be taken from the second name Nebuchadnezzar gives for this tower: the Tower of Borsippa. Borsippa literally means tongue tower, thus providing a link to language. Surely a significant linguistic event must have happened in order for Borsippa to receive its unique name? The Bible—as well as early secular histories—provide the explanation. … the most ancient monument of Babylon; I built and finished it … A former king built it—they reckon 42 ages [ago]—but he did not complete its head. Since a remote time, people had abandoned it without order expressing their words …. This translation calls this massive, unfinished tower the most ancient monument of Babylon. This fits squarely with the tower of Babel (Genesis 10:10; 11:4). And, if indeed more accurate, it provides an even stronger link to the language “phenomenon” at the tower of Babel, stating that sometime during this original building project the people had “abandoned it without order expressing their words.” Was this, then, the reason that the tower was named Borsippa—because a great “Babel” of “unordered words” led to the abandonment of the project? And what caused such a linguistic phenomenon, that such a rich and luxurious tower would be built and then abandoned, with only its upper “head” left to finish? And they said, Go to, let us build us a city and a tower, whose top may reach unto heaven …. And the Lord said, Behold, the people is one, and they have all one language …. Go to, let us go down, and there confound their language, that they may not understand one another’s speech. So the Lord scattered them abroad from thence upon the face of all the earth: and they left off to build the city. Therefore is the name of it called Babel; because the Lord did there confound the language of all the earth …. Borsippa today lies in ruins; however, the imposing remains of the ziggurat still tower to a height of 52 meters above the plain. Borsippa is also commonly known as Birs Nimrud, due to the strong traditional connection with Nimrod. Not only does Nebuchadnezzar describe, on these cylinders, a rebuilding of this tower, another of his inscriptions depicts what it may have looked like. 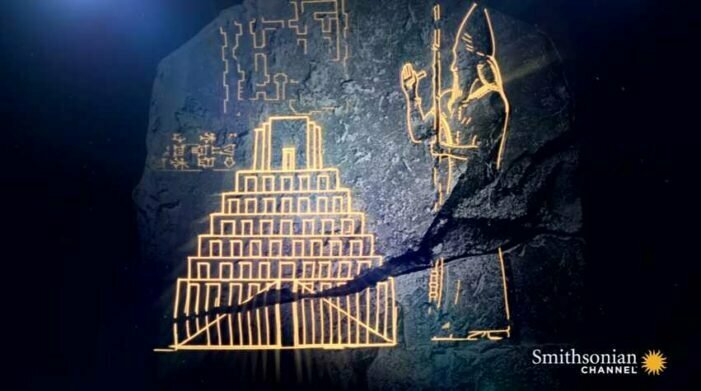 The Tower of Babel Stele is a black ceremonial stone, about 50 centimeters (20 inches) tall, discovered just over a century ago among the ruins of the city of Babylon. Since then, it has been kept as part of the private Norwegian Schøyen Collection. It has only recently been restudied, and the conclusions have led to great excitement in the scientific community, along with a corresponding video production by the Smithsonian Channel reexamining the authenticity of the Tower of Babel story. Nebuchadnezzar, king of Babylon am I: In order to complete [the towers] Etemenanki and Eurmeiminanki, I mobilized all countries everywhere … the base I filled in to make a high terrace. I built their structures with bitumen and baked brick throughout. I completed it raising its top to the heaven …. This tablet describes two different religious towers, known as ziggurats: Etemenanki and Eurmeiminanki. Etemenanki was the central tower in later Babylon, and Eurmeiminanki was the Borsippa tower described earlier, located about 11 miles away. This stele is primarily dedicated to the tower at Etemenanki; however, the diagram and floor plan depicted on the stele may apply to both structures, given the textual description of both. On this stele, we may have a glimpse into what the tower of Babel looked like—or, at least, what Nebuchadnezzar’s reconstruction of it looked like. 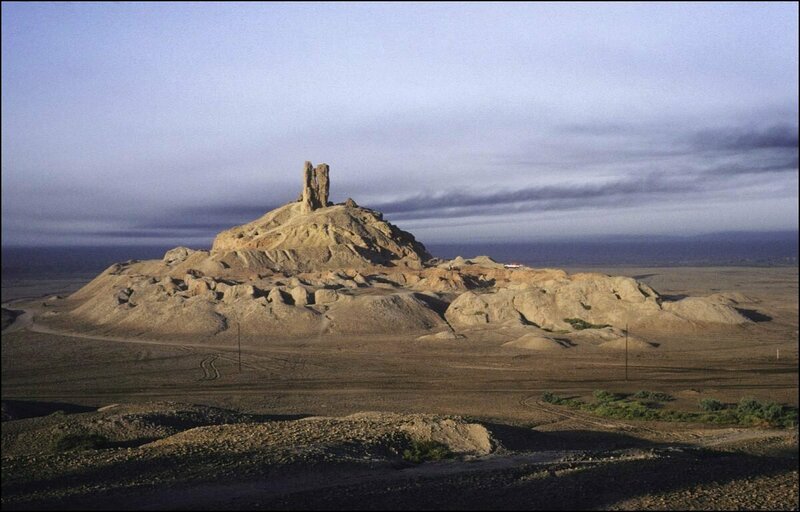 This was an imposing tower: Archaeological excavations, as well as a third century b.c.e. Greek document, show that it was nearly 100 meters wide and probably the same height (in comparison, the Great Pyramid of Giza is about 140 meters tall). The stele’s statement of raising the tower’s top to the heaven is interesting—it parallels the intent in building the tower of Babel, “whose top is in the heavens” (Genesis 11:4). Despite the claims of critics (particularly those who try to pass off the Bible as a late forgery of overly imaginative writers), archaeological finds such as Nebuchadnezzar’s cylinders and Tower of Babel Stele continue to provide sound evidence that backs up the biblical account. In the middle of [Babylon’s] precinct there was a tower of solid masonry … upon which was raised a second tower, and on that a third, and so on up to eight. The ascent to the top is on the outside, by a path which winds round all the towers. … On the topmost tower there is a spacious temple … There is no statue of any kind set up in the place, nor is the chamber occupied of nights by any one but a single native woman, who, as the Chaldeans, the priests of this god, affirm, is chosen for himself by the deity out of all the women of the land. This woman appears to have been a representation of the ancient deified Inanna/Ishtar, herself associated in later traditions as the mother-wife of Nimrod. And as an aside, Herodotus’s description of a winding ascent—together with the stele’s representation of the tower—show that some of the famous Renaissance paintings of a “stepped” tower of Babel are not too far off the mark. Clearly, we cannot know from these discoveries precisely what the original tower of Babel looked like, or even if Nebuchadnezzar really did rebuild his tower over the “right spot”—there is still much debate as to the location of the tower of Babel’s ruins. Putting aside the diagrams, location debates and Nebuchadnezzar’s handsome portrait, the most significant part of Nebuchadnezzar’s rediscovered memorials is the rich textual history, which does indeed closely parallel the biblical account of the earliest Babylonian memories at an original tower of Babel. It is the critics who are almost monthly forced to “move their goalposts”—not the Hebrew Bible, which has remained unchanged for well over 2,000 years. Unfortunately, certain scholars have used Nebuchadnezzar’s Tower of Babel Stele to say that the tower Nebuchadnezzar built became the inspiration for the Israelite’s tower of Babel story—that it was from this late, c. 600 b.c.e. tower that the legendary epic (dated to about 2300 b.c.e., according to biblical chronology) derived. But Nebuchadnezzar’s own cylinder inscriptions affirm that his tower was built as an attempt to complete the most ancient [and unfinished] monument in Babylon. Archaeology has shown that Babylon’s history goes back—surprise, surprise—to c. 2300 b.c.e. But these 600 b.c.e. inscriptions are not even the earliest archaeological record we have of a tower of Babel–confusion of languages story. An Assyrian inscription, written up to 200 years earlier (eighth century b.c.e. ), describes a tower built in Babylon and a deity who set out “to confound their speeches.” Another text, dating approximately 1,400 years earlier (c. 2100 b.c.e. ), describes the building of a tower, a deity confounding languages, and a prescribed incantation to cause the language of the people to become as one! More on those discoveries can be read here. Despite the claims of critics (particularly those who try to pass off the Bible as a late forgery of overly imaginative writers), archaeological finds such as Nebuchadnezzar’s cylinders and Tower of Babel Stele continue to provide sound evidence that backs up the biblical account. Nothing has been disproved—only the numerous theories of the critics. It is the critics who are almost monthly forced to “move their goalposts”—not the Hebrew Bible, which has remained unchanged for well over 2,000 years. Request your free copy or download online. 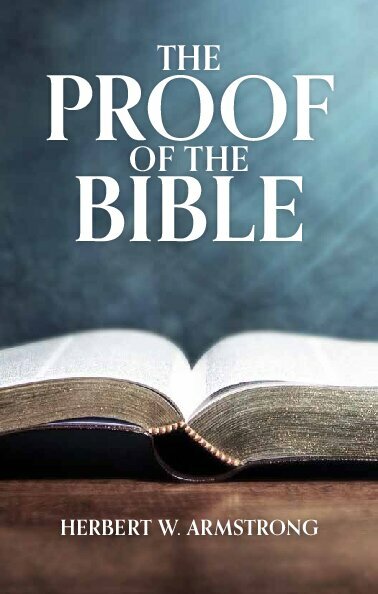 For a more complete look at the accuracy of the biblical account, read our booklet The Proof of the Bible. You can read it online or request a free print copy. 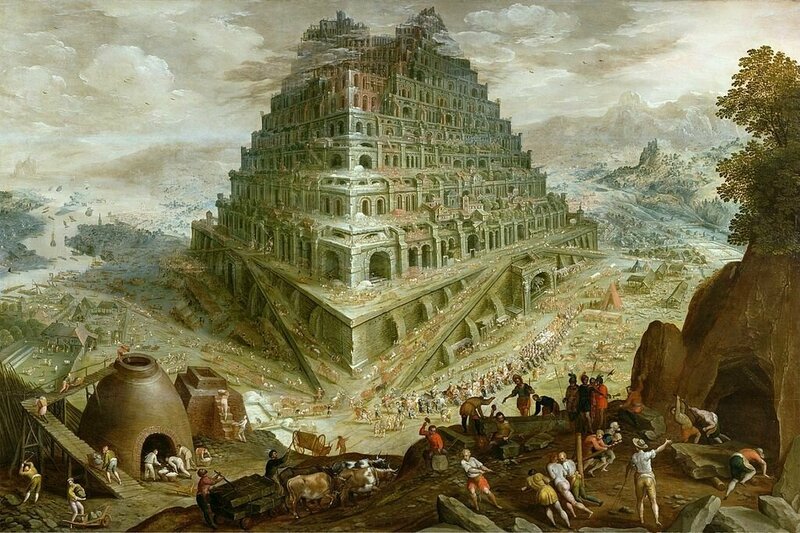 The Tower of Babel: Just a Bible Story?